It’s been a while since we had any new printed jerseys in. Mainly because I like to only buy in stock for you that I believe is beautiful and of the best quality. At last I have found some jersey prints that I think are amazing and worthy of your sewing skills. This collection of Italian ex designer knits make great luxury tee shirts from a very pocket friendly price of £12 per metre. 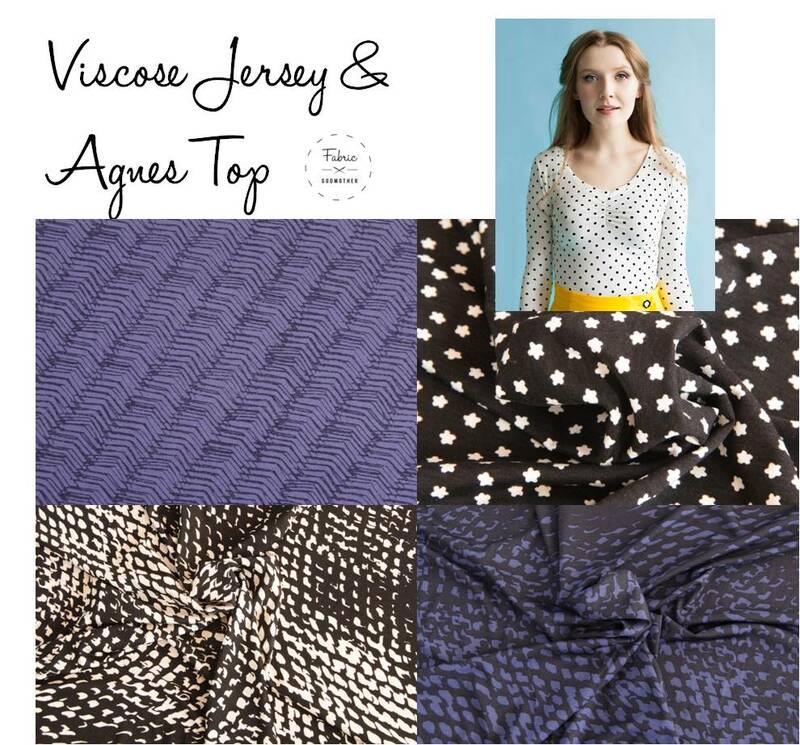 Agnes is such a cute top, I simply cannot decide which of these lovely viscose jerseys to make it in, why not go for a couple of designs? 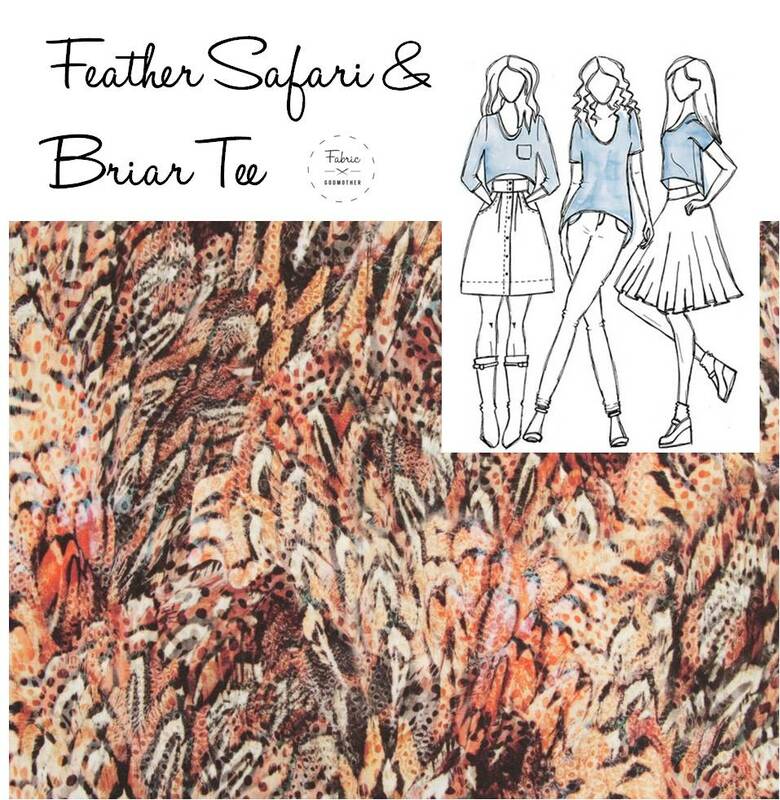 Our Feather Safari viscose jersey drapes beautifully and would look really fab in the dropped hem Briar Tee. 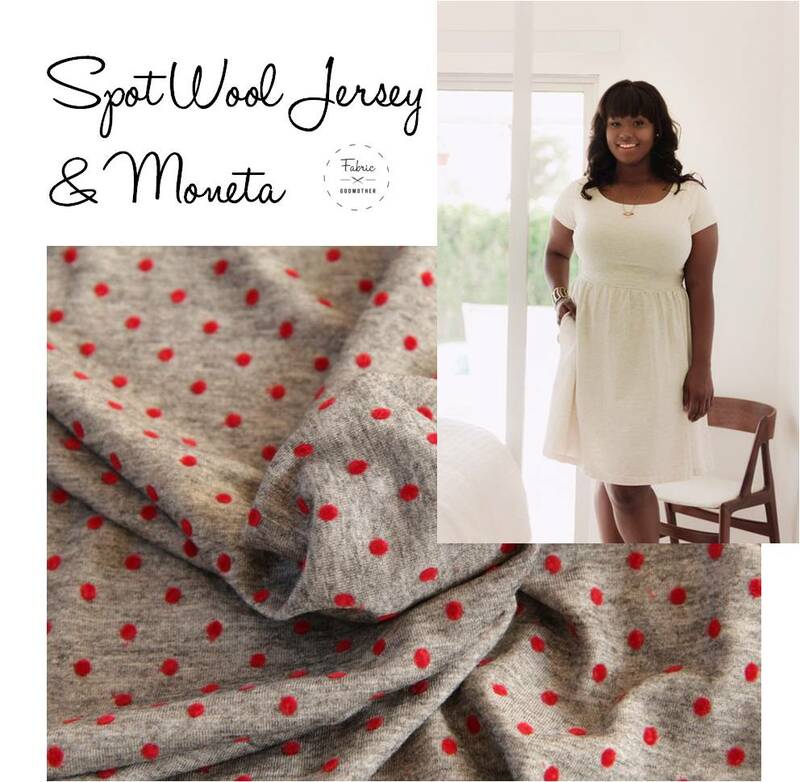 This Flocked wool mix grey jersey has cute red flocked spots all over it. I’d use this to make a Moneta dress and never take it off!